At Ahdoot, we offer a variety of antique and semi-antique Oriental rugs of the highest quality and from around the world, and so it comes as no surprise to us that sometimes the hardest part about buying an Oriental rug is narrowing down your options. An Oriental rug’s value is determined by its quality, age, condition, country of origin, and current demand. Before you go shopping, have an idea of what size and shape would best suit the environment. Calculate the dimensions of the room and consider the placement of your furniture. For example, if your furniture is to be placed asymmetrically around the room, you may find a rug with an all-over pattern to be a better choice than one with a central medallion. Also consider what color scheme you prefer. A room’s décor should be planned around your Oriental rug. A truly timeless rug should outlast all your other decorative purchases. Keep in mind that antique rugs are more reliable as investments; newer rugs should be considered primarily for their decorative value. The country of origin is also an important factor to collectors when assessing the quality of rug. 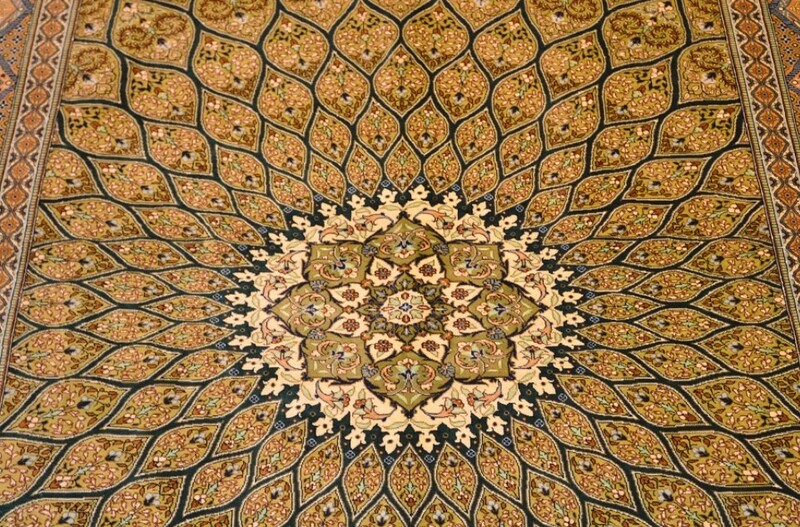 Most people think of Iran when they think of Oriental rugs, but it would be a mistake to overlook exports from such places as Turkey, India, China, Tibet, Pakistan, and Nepal. To judge the quality of the weave, you want to make sure the knot count is fitting to the type of rug. Also check to see that the rug has been sheared evenly; you’ll want to be sure that any inconsistencies can be corrected. Most importantly, don’t rush your new purchase. The more you look at rugs, the more apparent it will be which styles are your favorites. An Oriental rug is a long-term investment and you should love the one you choose. The experts at Ahdoot will be happy to help you on your journey to finding the right rug for you.